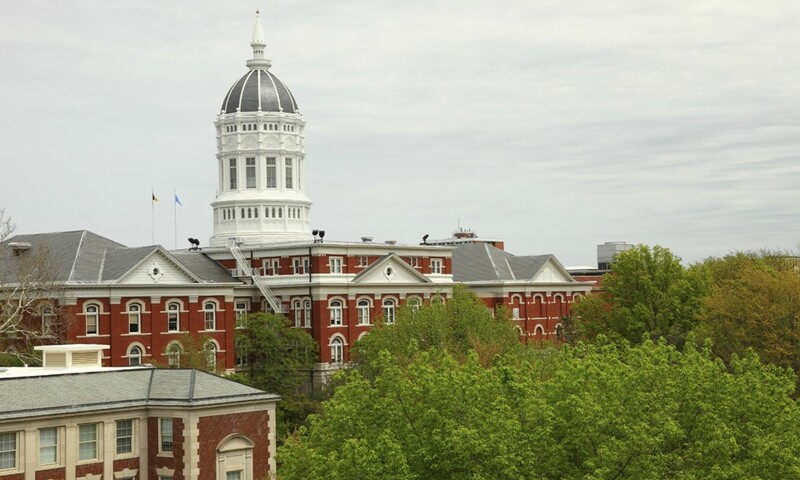 After a year marred by student protests related to race, football, workplace benefits, and leadership resignations, the University of Missouri once again finds itself embroiled in conflict. This one involves cannabis-policy t-shirts. The MU chapter of NORML, the National Organization for the Reform of Marijuana Laws, has been a recognized student group since 2000. They have an email list of 1,200 current students. Last September, they wanted to sell t-shirts to generate money for the chapter and raise awareness of cannabis issues. All campus groups are required to apply for university approval to use Mizzou’s name and image on any item offered for sale. The t-shirt design featured a marijuana leaf in the form of an animal paw (the school mascot is a tiger), a depiction of the Mizzou campus skyline, and a marijuana leaf with the group’s name. MU administrators did not approve. 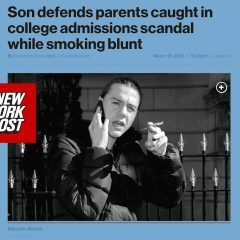 Berigan told Leafly that the group has always followed all university rules and policies. 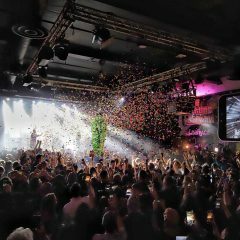 “It’s very apparent what we are doing,” he said, which is working to reform cannabis laws through political engagement and community education. The group does not advocate the use of cannabis as a drug, Berigan said; rather, it fights for the reform of cannabis laws. MU NORML challenged the university's interpretation, but according to Berigan, the only response he’s received from Mizzou officials is “they are looking into it.” So they took their issue to the Foundation for Individual Rights in Education (FIRE), a nonprofit that works to defend and sustain individual rights at America’s colleges and universities. Interim Chancellor Hank Foley sent FIRE a letter in response, which stated the following, “I thank you for your interest and for your letter.” FIRE then wrote a second letter on May 20 requesting a “substantive reply,” by June 3, 2016. Mizzou has yet to respond according to FIRE’s website. This isn’t the first time a NORML university chapter has had to deal with a university infringing on its First Amendment rights. In 2014, the Iowa State NORML chapter filed a first amendment lawsuit against ISU in a nearly identical situation. Earlier this year a federal judge ordered ISU to stop censoring ISU NORML’s t-shirts this past January, something that Berigan hopes will happen with his chapter’s design. 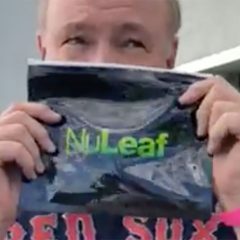 Berigan told Leafly that the group hopes that the university comes around, admits its error, and allows the t-shirt design.